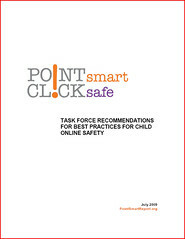 In an earlier post, I mentioned an important new online child safety task force report that has just been released from the "Point Smart. Click Safe." Blue Ribbon Working Group. It's a great report and I encourage you to read the whole thing. It was my great pleasure to serve on this task force, and as we started finalizing our conclusions and recommendations, I started thinking about how much of what we were finding and recommending was consistent with what past online safety task forces had also concluded. In a new PFF white paper, "Five Online Safety Task Forces Agree: Education, Empowerment & Self-Regulation Are the Answer," I walk through a chronological summary of each of these past task forces [click on covers of each report below to read them in their entirety] and highlight some of the similar themes and recommendations from them. 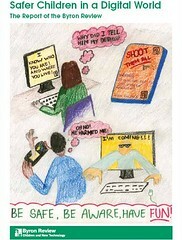 Education is the primary solution to most online child safety concerns. These task forces consistently stressed the importance of media literacy, awareness-building efforts, public service announcements, targeted intervention techniques, and better mentoring and parenting strategies. There is no single "silver-bullet" solution or technological "quick-fix" to child safety concerns. That is especially the case in light of the rapid pace of change in the digital world. Empowering parents and guardians with a diverse array of tools, however, can help families, caretakers, and schools to exercise more control over online content and communications. 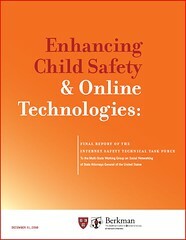 Technological tools and parental controls are most effective as part of a "layered" approach to child safety that views them as one of many strategies or solutions. The best technical control measures are those that work in tandem with educational strategies and approaches to better guide and mentor children to make wise choices. Thus, technical solutions can supplement, but can never supplant, the educational and mentoring role. Industry should formulate best practices and self-regulatory systems to empower users with more information and tools so they can make appropriate decisions for themselves and their families. And those best practices, which often take the form of an industry code of conduct or default control settings, should constantly be refined to take into account new social concerns, cultural norms, and technological developments. Government should avoid inflexible, top-down technological mandates. Instead, policymakers should focus on encouraging collaborative, multifaceted, multi-stakeholder initiatives and approaches to enhance online safety. Additional resources for education and awareness-building efforts are also crucial. Finally, governments should ensure appropriate penalties are in place to punish serious crimes against children and also make sure law enforcement agencies have adequate resources to police crimes and punish wrong-doers. 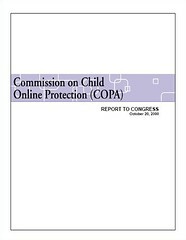 The consistency of these findings from those five previous task forces is important and it should guide future discussions among policymakers, the press, and the general public regarding online child safety. As I note in the paper, the findings are particularly relevant today since Congress and the Obama Administration -- including 3 federal agencies (NTIA, FCC, & FTC) are actively studying these issues. So, in light of all that, I hope this short paper can shed some light on the collective wisdom of the past task forces. While more study of online child safety issues is always welcome -- including additional task forces or working groups if policymakers deem them necessary -- thanks to the work of these five task forces, we now have better vision of what is needed to address online safety concerns.